Eunice has a clever innovation we spied on a beautiful vintage flea market find. A single piece runs down the back to the waist. Simply thread the apron strings through one of three channels sewn into the back piece and tie a bow. The result? 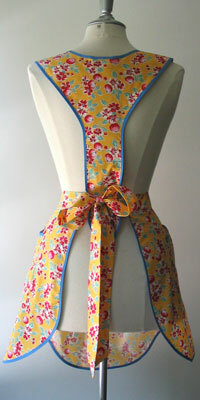 A flattering apron with three height adjustments, that fits an endless amount of “widths”. Two roomy pockets. 100% cotton. 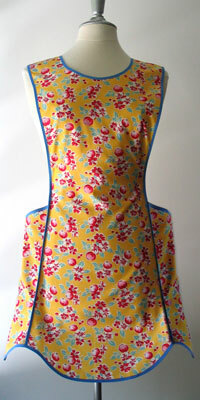 Eunice Apron in Kitchen Fruit Fabric.